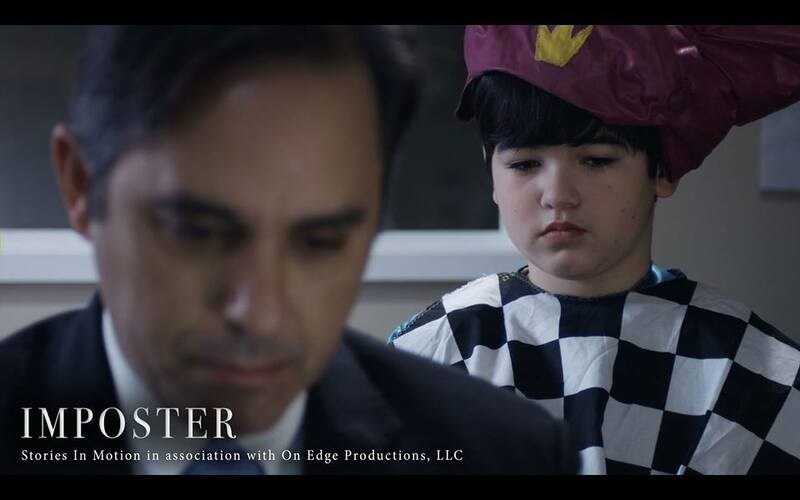 “Undatement Center” (2017), a nine-minute short film from writer-director Chris Esper, is effortlessly charming, consistently humorous and always likable. It carries on the same seamless marriage of upbeat and hopelessly romantic tones that made his prior inventions Please Punish Me (2015) and The Deja Vuers (2016) such an incredible success. This Stories by the River and Stories in Motion co-production is also a fantastic showcase of Esper’s ability, which has been ever-present throughout his career, to project fully fleshed-out, relatable characters. Such transpires in a heartwarming and enchanting, yet undeniably human, manner. This detail is made increasingly admirable with the incorporation of a pace that is as breakneck as view of the world of dating that is the focal point of Esper’s endeavor. Yet, none of the sequences, even the laughter-fueled montage that takes over the mid-section, feels rushed or superficial. There is a breezy demeanor to the proceedings that even makes the most familiar beats of the plot triumphantly sing. This is apparent in the relationship that forms between our twenty-six-year old lead, Jack (in a phenomenal turn from Trevor Duke), who turns to the title corporation in hopes of finding love after a twelve-year hiatus, and Lindsey (in a depiction by J.D. Achille that is consistently marvelous, engaging and authentic). The opening and concluding notes are also evidence of Esper’s mastery in this aforesaid department. Yet, these segments ring with a sweetness, an earnest simplicity and lack of pretension that is genuine and captivating. Despite its often-modern attitude (reflected most readily in the intriguing plot itself), the project feels wonderfully old-fashioned. Such only increases its amiability. Randy Veraguas’ depiction of the quirky desk clerk, Shelley, as well as Shandy Monte’s enactment of the similarly positioned Jennifer enhance the agreeable nature of the picture. Christie Devine is also stalwart in her quick role as Annie. Acei Martin, in a brief part dubbed “Urine Sample Woman”, is also stellar. When combined with the masterful moviemaking and deftly constructed literary contributions Esper incites herein, with his ear for often clever dialogue being another high-quality trait, it’s becomes immediately evident that the Secaucus, New Jersey born maestro has delivered another all-around winner. This Quincy, Massachusetts recorded endeavor is also graced with illustrious cinematography from Mikel J. Wisler. Such a veneer reiterates the sunny atmosphere of the piece fantastically. Wisler’s seamless and sharp editing fares just as well. Also, assisting matters is Steven-Lanning Cafaro’s cheery and deeply cinematic music. Dominic Kaiser’s sound issuance is spectacular. J.L. Major and Rich Simpson’s assistant camera work is equally proficient. Esper intends to comment on how intimate associations have become more akin to a business transaction, a one-sided meeting that is based on quick facts and reams of paper, than a personal experience. The conclusion, which hints at the latter method as the more beneficial, is evidence of this bitingly brilliant, but undeniably true, observation. In less capable hands, this is a storyline akin to this could’ve become a bitter, somber experience. But, Esper keeps the jokes cracking and the smiles brimming on our faces throughout. This is without ever diminishing the impact of his thesis statement. Such is, like the totality of “Undatement Center” itself, a tremendous accomplishment. 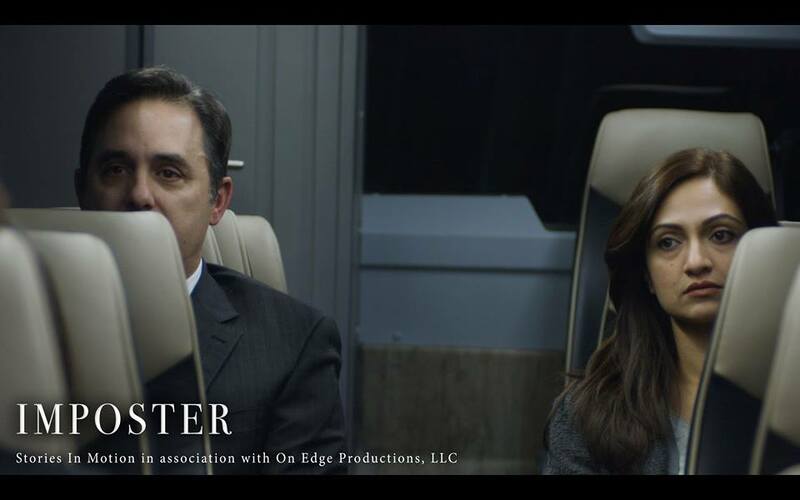 Esper’s latest, an extension of many of the themes present in his earlier photoplays, is an all-out confirmation of his continually broadening talent. It is also a testament to his exceptional skill as a photographic craftsman. The result is side-splitting and deeply transcendent; an endlessly entertaining, quietly emotive must-see! Premiered on April 1st, 2017. (Unrated). Contains brief language and some sexual humor. Stories in Motion’s page for the film can be found here. “The Deja Vuers” (2016), an eight-minute short picture from director Chris Esper and screenwriter Jason K. Allen, is a charming, frequently funny and endlessly engaging experience. It is ingenious in the way it takes a commonplace set-up, a man approaching a woman on a park bench, to comically absurd levels. This is without it ever becoming too over the top. Simultaneously, Esper and Allen inject trademark components of fantasy and science-fiction, time travel and dreams, into an undertaking that is consistently fresh and exciting. This is while maintaining its commonplace relatability. Likewise, it never once utilizes humor that isn’t naturally born from the unfolding circumstances of the plot itself. With these un-related items, a balance of the mundane and the fantastic is seamlessly created. It is one that is built on dialogue. The articulations heard throughout are rich in everyday observations, exchanges and quiet insights. Furthermore, Allen’s penned characterizations are accessible. This is without coming across as archetypical or lacking in dimension. Such is certainly a tremendous feat unto itself. The attribute apparent in the writing of the protagonists is amplified by the herculean strength of the lead performers we follow on-screen. Christie Devine is outstanding in her enactment as Morgan. Kris Salvi is phenomenal in his portrayal of Chuck. Yet, even the comparatively smaller roles, such as Craig Capone as Elias and J.P. Valenti as “Repairman”, offer well-rounded and memorable depictions. Adam Miller as “Teenager” fares just as well. The potency of these qualities is vastly a courtesy of Esper’s masterful administrative hand. It is just as evident in Allen’s sharply designed and intelligent authorship of the material. The duo immediately establishes, via their respective contributions, a quietly whimsical tone for the piece. It is propelled in the opening moments by the smoothly upbeat music of Steven Lanning- Cafaro. This can also be said for Evan Schneider’s sumptuous, vibrant and suitably cheery cinematography. Schneider’s influence also benefits from taking full advantage of the natural beauty of its budding fall backdrop. The result is a smartly penned and honed, effortlessly enjoyable production. It is one that visibly triumphs from both a technical and narrative stand-point. Esper, who also produced, and Allen chronicle Chuck coming across Morgan in a chance assembly. He has never met her before. Yet, a reverie Chuck had from the night before, where Morgan is sitting in the precise location she is at that initial instant and with an identical expression of the confused look that overtakes her countenance, makes him come up to Morgan and address her in conversation. While the explanation of such an act itself could easily be perceived as a pick-up line, it is immediately conveyed that Chuck and Morgan both find each other “repulsive”. But, Chuck states, in one of the many efficaciously guffaw-inducing bits herein, that the mutual unattraction between the two doesn’t mean they shouldn’t be intimate. This is just on the off case that a bizarre fate is bringing them together. Soon after this smirk-inducing gag is administered, a chain of circumstances, often built around loose connections and clever ironies, amusingly unfurls. This begins with something as small as a container of fruit cocktail. Soon it evolves into an assortment of individuals from bygone eras and lives. Included in the mix is a personality who could well be conjured from a vision induced through slumber itself. It isn’t far into these episodes before Morgan and Chuck realize that there may be more to this sense of de ja vu than a vague sense of familiarity. It is than a portal unveils. Such an incidence threatens to pull Chuck and Morgan apart from their moment together. In so doing, it promises to bring them to a place and time more matched to their personal desires. This Stories in Motion production, budgeted for $2,000 and shot in Attleboro, Massachusetts, further benefits from this truly original plot. The single position found in the piece is also impeccable for a celluloid invention such as this. Moreover, it activates intriguingly and ends much in an equivalent fashion. This is on a wildly satisfactory note of paradoxical enigma. This stretch is also striking in that it seems to express the general outlooks of the personalities viewed in this pre-closing acknowledgments succession. This is through decision over exposition. Best of all, it incorporates this without being obvious about its intentions. The construction is just as confident in its pacing as it is in its sly execution of such happenstances. Such an affair issues a commencing and concluding credits segment that is as quaint, stimulating to the eye and proficient as the sequences these portions bookend. Correspondingly, Esper’s editing as well as the optical effects from Robert L. Lopez are outstanding. Andrew P. Marsden provides deftly issued sound. Danielle Schneider’s make-up is expertly fashioned. These ingredients are eye-catching on their own. When combined, these details illuminate and augment splendidly the effortlessly admirable appeal of all we encounter herein. Esper’s latest accomplishes an incredible amount in its brief run time. It efficaciously juggles a multitude of genres and ideas. All of which are difficult enough to pull off individually. Yet, with all these various foundations at play: there is an undeniable air of gentle romanticism to the proceedings. This is fitting and welcome. The composition is much like Esper’s “Please Punish Me” (2015) in this respect. This is also accurate when pondering its ability to explore human interactions and regressed passions. Such occurs in a package that operates equally well as both an unexpectedly cerebral character study and as a witty comedy. In turn, “The Deja Vuers” is a wonderful display of talent and wise storytelling moves all around. It continually exhibits Esper’s as a craftsman of the photoplay at every turn. The work also serves as perpetual evidence of the equally deft capabilities of his cast and crew. More than anything, the exertion reminds us of the illimitability and experimental nature inherent in arrangements such as these. Because of this, Esper and company have erected a must-see; another fantastic addition to his increasingly spellbinding filmography.